A recent Michigan trip has us up to our eye balls in fresh blueberries. 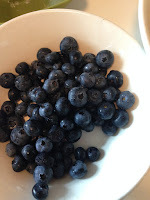 Having fresh blueberries from the farm is quite an experience. They are nothing like the ones you buy at the store off season. If you can have them from the farm, jump on it! You won't regret it. 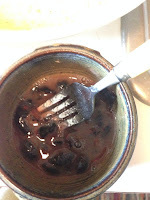 You can easily freeze farm fresh blueberries and enjoy them in the winter. 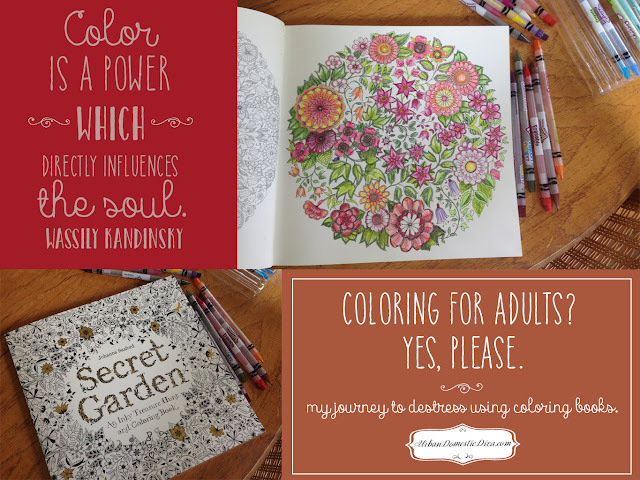 Here's a post I wrote a few years ago on how to do it. 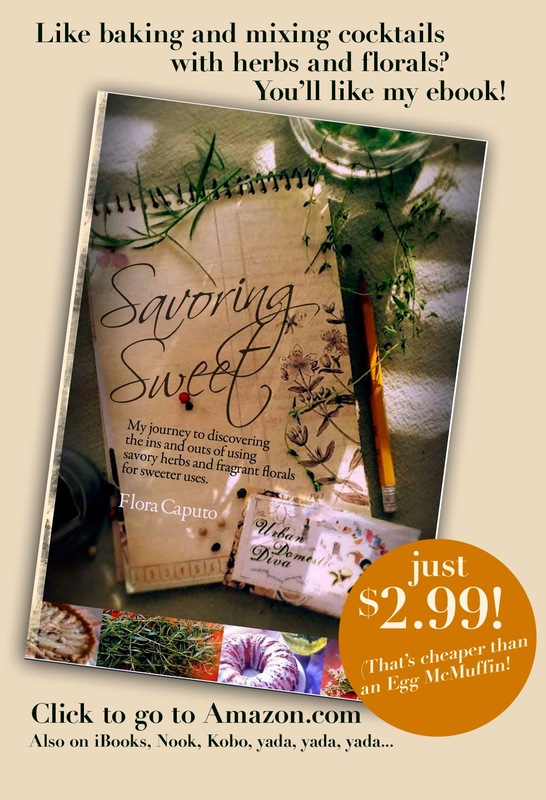 It certainly allows you to not waste such wonderful summer bounty. If blueberries are starting to get too ripe, they may be too mushy for eating, but they are great for baking. 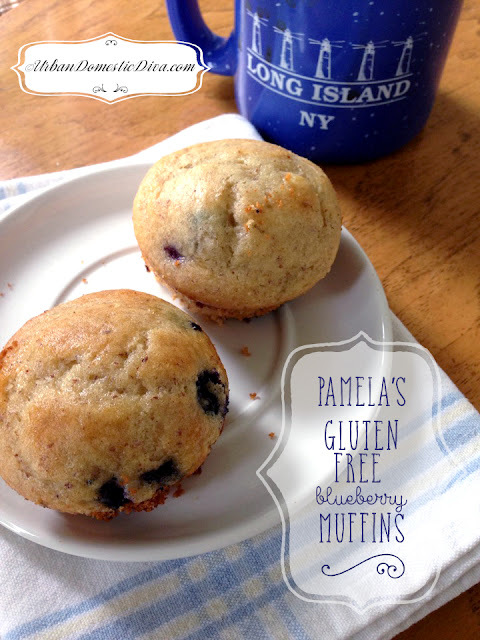 Here is an easy muffin recipe I whipped up using Pamela's Gluten Free baking mix. I like mashing up a handful of blueberries and throwing it my muffins. 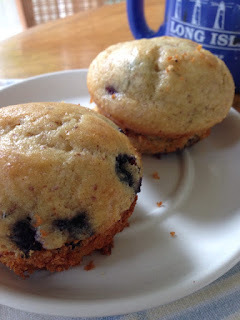 It gives the muffins a layer of subtle blueberry flavor throughout the batter. 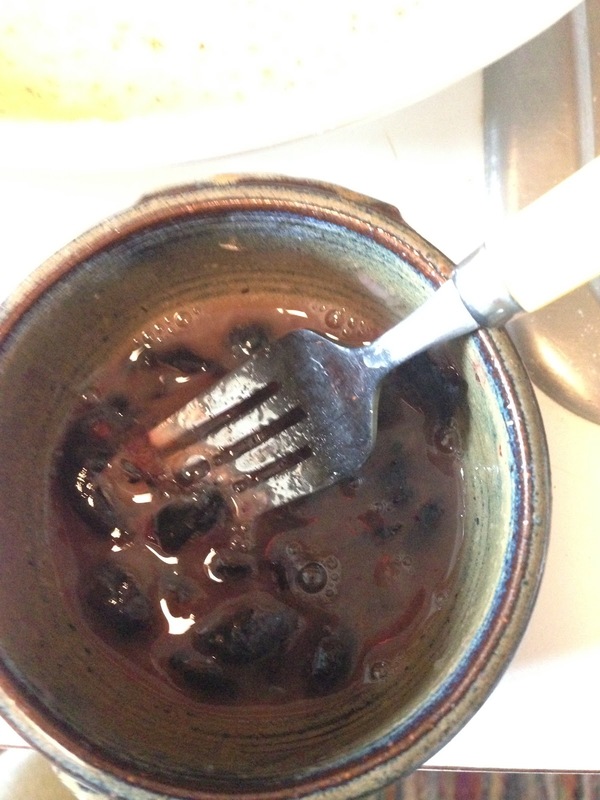 First, mash up the 1/4 cup of blueberries in a small bowl or cup with a fork. Add the orange juice and 1 Tbsp. sugar and mash up some more. Set aside and allow flavors to meld until the batter is ready. Preheat oven to 350˚. 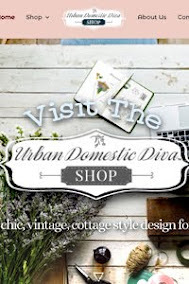 Grease a medium muffin tin or prep with paper liners and set aside. 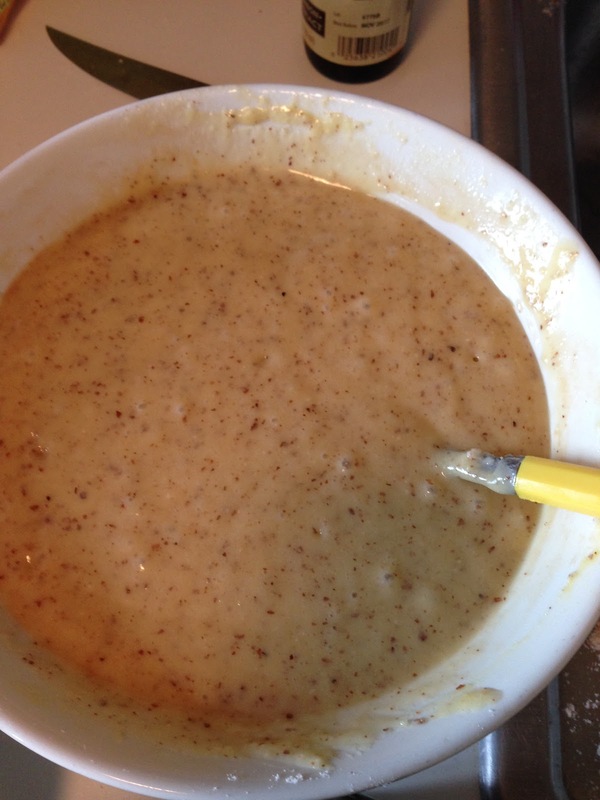 In a large bowl, whisk the 2 eggs with the oil, vanilla extract and milk with the sugar. until smooth and creamy. Add the baking mix and mix well until just combined. Add a splash of milk if the mix is looking too dry. You want it nice and smooth. 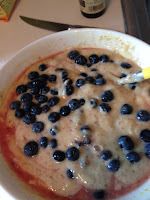 Add the mashed up blueberry mixture and the cup of blueberries and fold in. Pour batter into the tins until they are about 2/3rds full. Bake for about 15-20 minutes. The top should be lightly golden and spring back when touched. Let cool 5 minutes in the pan, then invert onto a cooling rack to cool down some more. Serve warm. Store extras in an airtight container for a few days. I froze mine because back-to-school time is around the corner and any quick help during breakfast is much appreciated!